Sweet carrots – a vegetable that often uses undeservedly bad reputation. Knowing its undoubted benefits, many do not like carrots because boiled or stewed that is spongy and tasteless. But properly cooked carrots has a great texture, taste and aroma. The easiest way to make a delicious dish of carrots – serve it raw. Carrots should be washed and cleaned. Then you can grate it on a grater and eat with powdered sugar or add to a salad of fresh vegetables. Original look "ribbons" of carrots, which can be obtained by slicing a vegetable with a device for removing the peel. Such ribbons will decorate any garnish. Cut into carrot sticks served as an appetizer with various sauces-dips. Initially, all carrots were purple. The usual orange color gave the Dutch vegetable breeders in the 16th century. They brought such a variety in honour of William of orange. Fans of a healthy lifestyle if you do not prefer to eat fresh carrots, boiled or steamed. This carrot is well suited for a variety of side dishes. 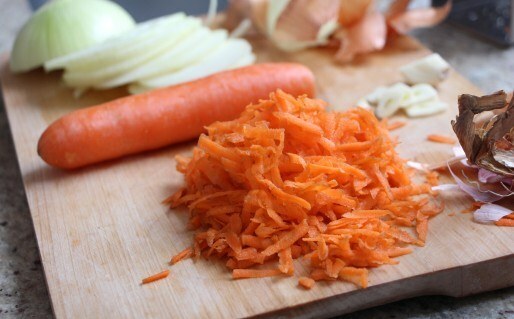 For a couple it is better to prepare small carrot, also called baby or very young roots, old better carrots to boil. From boiled carrots you can cook a delicious sauce, with various spices. - ¼ Cup of orange juice. Sliced carrots, boil in boiling water for 10-15 minutes. Pour the boiling water. Combine sugar, starch, salt and ginger in a saucepan, pour orange juice, cook, stirring, until the mixture thickens. Add the butter and let it dissolve. Pour hot sauce over carrots and serve. - 2 tablespoons of orange juice. Melt the butter in a deep frying pan, mix with sugar, add two tablespoons of orange juice. In another deep frying pan sauté for 7-10 minutes for carrots. Add caramel syrup, пере6мешайте and remove from heat. Serve sprinkled with chopped fresh herbs, sesame seeds or crushed nuts. Carrot stew in a part of the stew, and baked. Carrots are rich in beta-carotene – important for eye health nutrient. Grate carrot on a small grater. Fry in deep pan onions with crushed garlic and grated ginger. Add carrots, cook for about 3-5 minutes, then pour the hot chicken or vegetable broth and simmer about 30 minutes over medium heat. Cool slightly and preroute blender. Serve with fresh herbs, spoon of whipping cream, natural yoghurt or sour cream. - ¼ Cup of sour cream. Mix in one bowl all the liquid ingredients – butter, egg, sour cream and sugar. In another bowl, mix all spices and flour. Combine the ingredients, gently stirring with a spoon, add grated carrot. Drop the dough in molds for muffins and bake in preheated to 170оС the oven for 20-30 minutes.